Developing a well-managed rotational grazing system lets you utilize your pastures most effectively. If herds graze continuously, pasture yields will suffer as the forage doesn’t have time to regenerate between grazings. 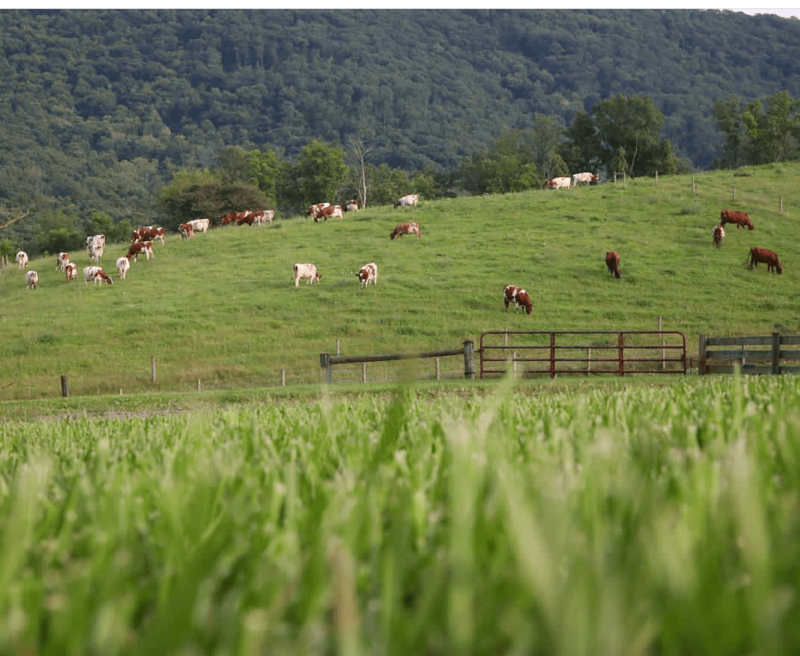 Implementing a rotational grazing plan provides the space for interior paddocks of your pasture to rest and renew, resulting in higher quality and quantity of forage for your livestock. During this field day at Hameau Farm, we’ll discuss how to establish a rotational grazing plan for your farm. We’ll begin the day with a pasture walk, led by Hameau Farm owner Gay Rodgers and apprentice Jessica Matthews, to examine the farm’s forage, rotational grazing plan, and watering systems. In the afternoon, we’ll work with Jeff Biddle of Bear Meadows Farm to review aerial photos of his farm’s typography, using it as a case study for developing a formal rotational grazing plan. Also joining the conversation will be NRCS grazing specialists Suzette Truax—who helped establish Hameau’s grazing plan nearly two decades ago—and Titus Martin; members of the PA Grazing Lands Coalition; and dairy grazing apprentices from Hameau and Bear Meadows. Pre-registration required. No Walk-In registration. This event includes lunch.